9.11.13 | Oh Look! It's A Blog! Today’s post is going to be really pic/credits heavy so I will keep my ramblings to a minimum. The rest of my post is going to be home garden/decor because I recently redid my house with a bunch of new stuff available at The Seasons Story as well. That is why I split the credits so hopefully it is easier to view… but anyway LOTS of pictures incoming! I really love this little set up, it’s perfect just for me and I was in the mood for a “shabby chic” vibe so that is why everything is light and airy looking. As for the credits… lol… I tried to credit EVERYTHING but I only linked items with SLURLs that are at events. If you can’t find something though just ask and I will be happy to grab the SLURL for anything else. * includes stuff on the dresser – books, globe, floor speaker, leaves, bottles, ladder, ect. → Wall photo collage: *ionic* Is it a dream? → Table: Baffle! [Oceanic End Table.] – Not Available. → Lantern: Baffle! [Crystal Lamp.] – Not Available. → Fireflies in jar: Reek – Firefly Jar (Nightlight) – Not Available. * Includes easel, paint accessories, floor pics and yoga mat. And now, you’re not coming down. And now, we’re ashes on the ground. This entry was posted in iheartslFeed, Uncategorized and tagged !Ohmai, (Elate! 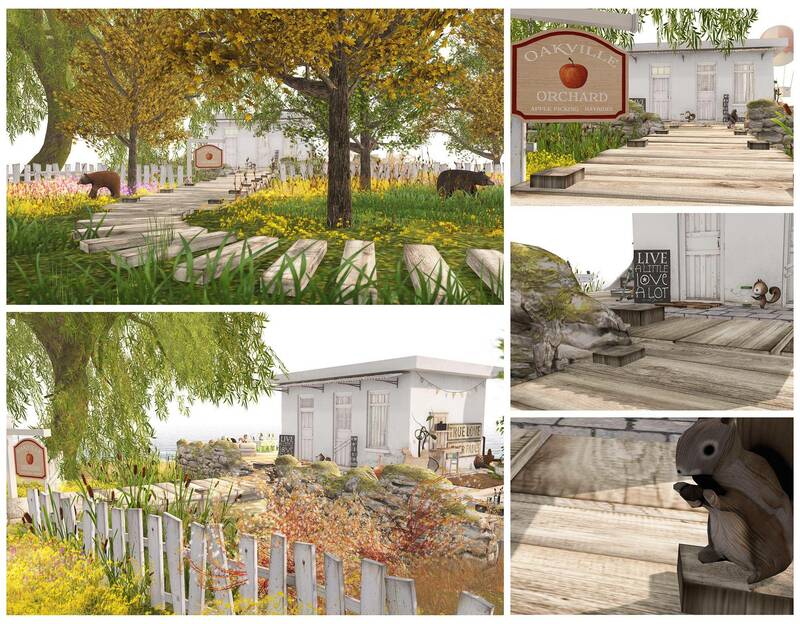 ), 3D Trees, Alirium, Apple Fall, ARIA, Art Dumy, Baffle, BAZAR, bbqq, Blah., blog, Botanical, Candy, Cheeky Pea, Decor, Decorating, DIGS, Encore, Fall Hair, Floorplan, Flowey, Fri., fri.day, Furnishing, Garden, Glam Affair, Half-Deer, Home, Honey Apple, HPMD, Ionic, JD, JustDesign, KIDD, LAQ, Laq decor, Lark, LISP, Lisp Bazaar, Mesh, MishMish, MMG, MMG's, mudhoney, Napoliy, O.M.E.N, Oh Mai, OMEN, Pilot, PXL, Reek, Schadenfreude, Second Life, Second Spaces, Seven Emporium, Silent Sparrow, SilentSparrow, Tableau Vivant, Tee*fy, The Arcade, The Season's Story, Tres Blah, U.F.O., UFO, what next, Zigana. Bookmark the permalink.